After launching their new wireless charging stations throughout the US back in Novembers 2014 in the selection of Starbucks coffee houses. Starbucks has this week announced that ten new wireless charging locations have launched within the UK starting at Starbucks located in the country’s capital, London. 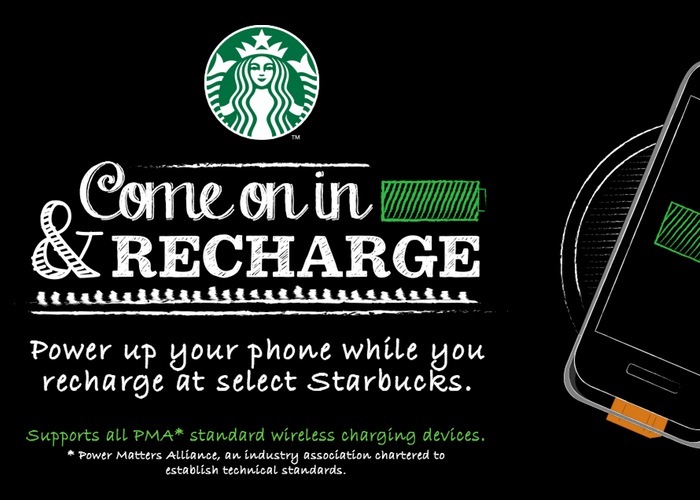 The new Starbucks wireless charging stations are available for UK customers at central London Starbucks venues to use any time and keep their smartphones and mobile devices topped up, taking the form of Powermat’s PMA wireless charging points. 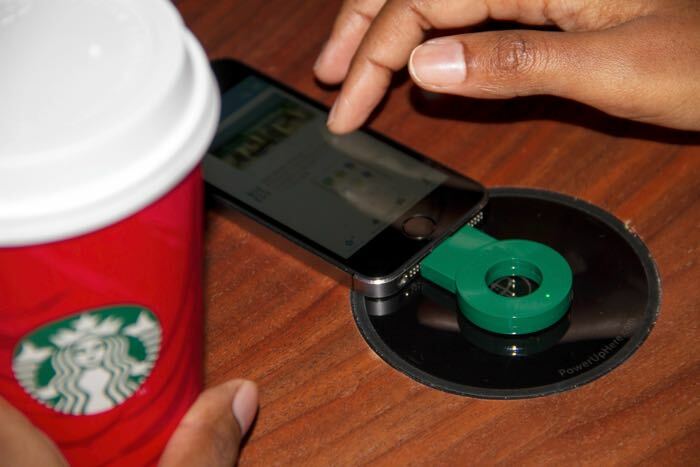 Powermat and Starbucks have partnered and as well as the wireless charging points will also provide cable adapters to plug-in into your smartphone, just in case your smartphone isn’t supported by the PMA wireless points. Starbucks is also be offering its UK customers the ability to purchase their very own Starbucks cable charging adapter priced at £10. Just in case there are no adapters freely available when you enter a Starbucks store but need to charge your smartphone in a hurry. For more information on the new Starbucks and Powermat wireless charging points jump over to the official Starbucks website for full details on the London locations that currently provide the new charging stations for customers to use.